A you may have noticed from many of my recent posts, LOFT and I are in the midst of a serious love affair, especially when it comes to their adorable rompers and the Lou and Grey lounge collection. And now that school is officially out for the summer (as of today, eek!) I am all about celebrating it in style! 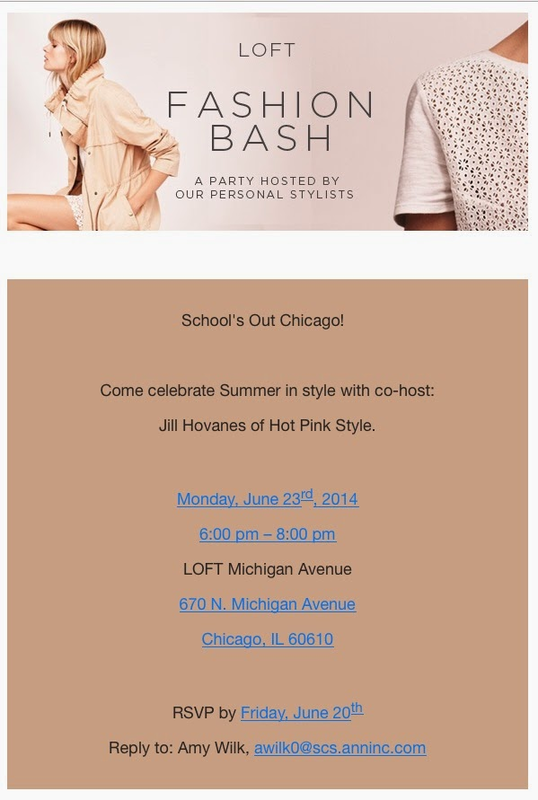 Next Monday I will be co-hosting a fashion bash along with the fabulous personal stylist team at LOFT Michigan Avenue! It will be full of fun, food and of course shopping! So come celebrate the start of summer with me while we shop, chat and enjoy a pretty sweet discount too! Who doesn't love that?